I’m reading a book, Memoirs of an Imaginary Friend, that is stimulating a lot of thought. In the book, imaginary friends are only capable of doing whatever their children imagine they can do. For example, the subject of the book is capable of walking through closed doors, but he cannot walk through walls. He doesn’t sleep because his child imagines him keeping an eye on things all night long. Each imaginary friend is limited by his child’s imagination, and it can be very frustrating for the friends at times. I think in a sense we are all our own imaginary friends, limited in our abilities because of some default operating system dictating what we can and can’t do. If I “can’t imagine myself ever doing that!” then chances are, I never will. But through the magic of visioning, I can begin to open my awareness to new possibilities. I have noticed, too, that often other people can more easily see our potential than we can. After all, they don’t have our fears blocking the view. What does it take to trust the vision of others? 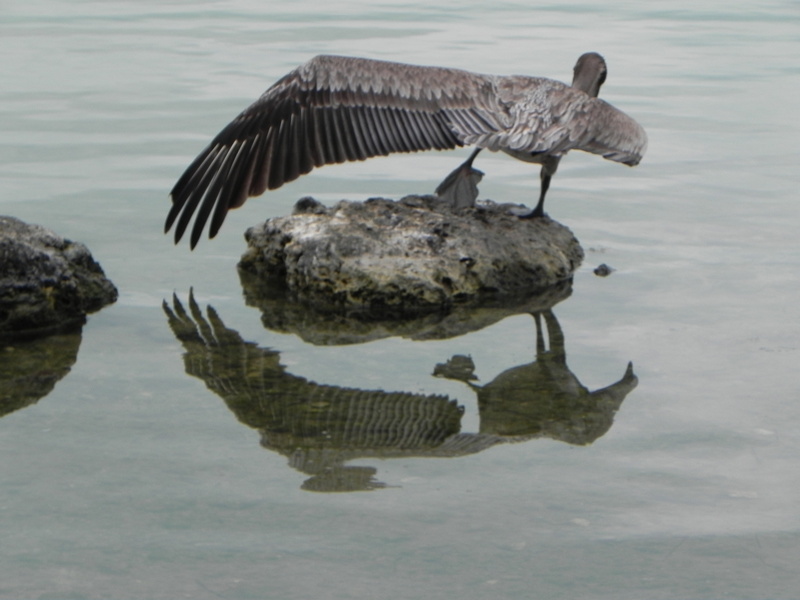 To step out on a limb, spread our wings, and fly because several other people imagine we can? A couple of weeks ago, some friends told me that I should teach an art class. Quickly I responded, “Oh, I could NEVER do that! I can’t imagine ever being good enough to teach!” But even as I said those words, I realized that it wasn’t the first time I’d said them. At least twice before I had been urged by someone to create a class to help those who are afraid to paint. When prompting nudges me from three unrelated sources, I have a tendency to take a closer look. For me, that means meditating on the possibility. I create a vision, and walk around in it for a while, sort of like trying on a new pair of shoes. How does it feel? Is it a good fit? Could it work? And the next thing I know, an opportunity presents itself. This one popped up the very next day. And guess what? 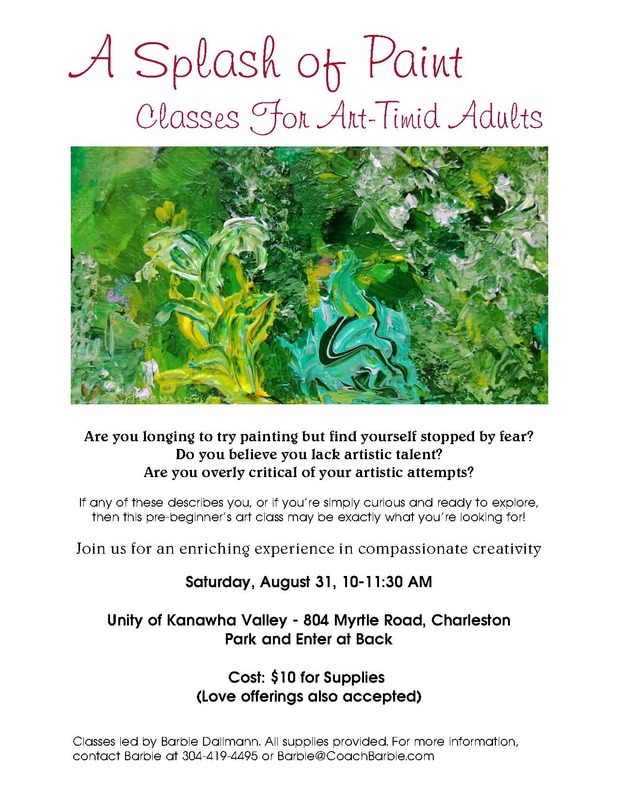 This coming Saturday I’m leading a workshop in compassionate creativity for art-timid adults. So, while it’s true we are limited by our own imaginations, it is also true that we can tap into the Collective Consciousness and download a new paradigm. Why not pay more attention to the possibilities that enter our awareness? Why not try on some new ways of being? 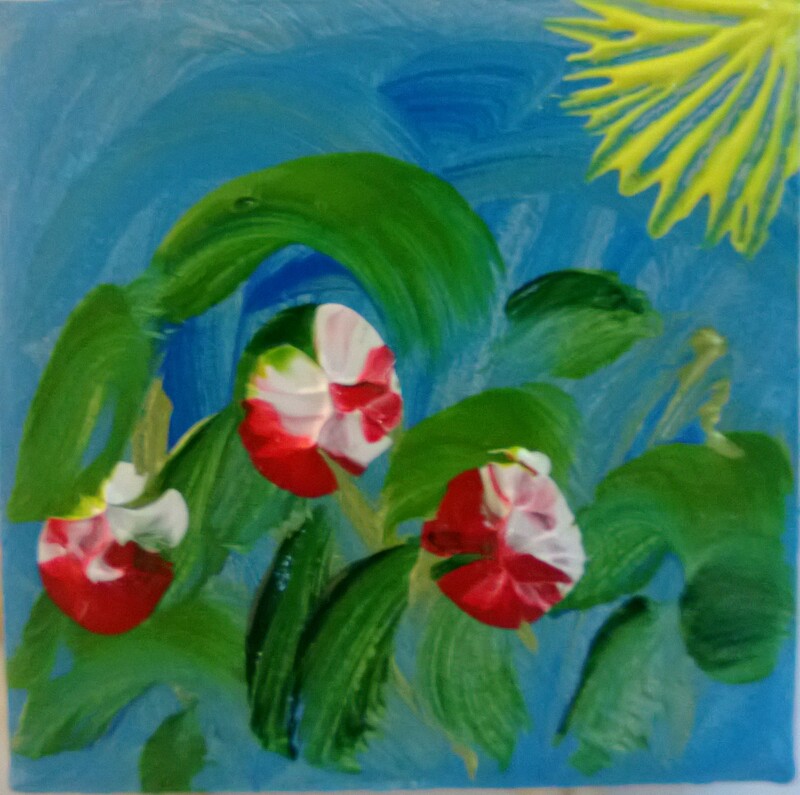 Why not sign up for an art class? Yesterday I turned 59. The “nine” birthdays are always a big deal for me. I experience a strong need to finish the decade on a high note. There’s also a touch of anxiety about how I will process the “new numbers” a year from now. It seems I’m one to watch out for my future self, thinking she may somehow become weaker or more vulnerable than I am today. When I was 9, I wondered what it would be like to have two numbers in my age and thought ahead to 11 when I would no longer be able to hold up my age in fingers. At 19 I grieved the loss of my teen years as 20 was the threshold to Adulthood. So, to prepare myself, I quit school, got a full-time job, moved out of my parents’ house, and got married—all between 19 and 20! At 29 I remembered my promise to myself to “have my ducks in a row by the time I turned 30.” AARGH! I wasn’t even close! No goals; only wishes and someday fantasies. So, that was the year I got serious about my career, obtained a loan from the SBA and opened the doors of Happy Fingers for business just 10 weeks before my 30th birthday. Ducks lined up and marching by 30! At 39 I was restless again, and so before I turned 40, we had packed up and moved to a much bigger house in a much nicer neighborhood. Another step up the ladder of success. At 49 I watched Oprah turn 50 a full seven months before me. I heard her talk about the 50’s being the decade when you become who you were meant to be. I wanted that, but I didn’t know how to get it. And it seemed the harder I tried, the worse things became. Little did I know that as bad as 49 was, 50 would be even worse, and by 51, I had hit bottom. In a state of complete resignation, I signed up for the scariest thing I’d ever heard of: “The Shadow Process Workshop” with Debbie Ford. Yesterday, I opened my birthday journal and began to write, fully expecting some fearful tirade about turning 60. I was fully prepared to devote a good part of the day to creating an action plan of things I needed to do that would make turning 60 bearable. Instead, I found myself overwhelmed with peace and contentment. What’s this? I wondered. Serenity on my 59th birthday? Really? How did that happen? But, of course, I know how it happened. During my 50’s I’ve been doing a lot of deep work. I’ve learned about purposeful living. I’ve taken 100% responsibility (no excuses!) for creating more of what I want and releasing the things that no longer serve me. So, this is the reward, huh? A HAPPY BIRTHDAY! I’ve always wondered what that would be like. During the last two weeks, a lot of things have exited my life. Dysfunction and old age took the office photocopier, a storm took several huge trees, maturity took our son to a new life in California, said son took his dog with him, and, at my request, my husband took two La-Z-Boy recliners to Habitat for Humanity. Emptiness has been appearing around my life. Book cases have been cleared; drawers, too! All of that cabinet space reserved for dog food, shampoo, leashes, and treats … empty! Need I mention Britain’s room and his entire closet? Most of the change has been thrust upon me, and I’ve been grieving the losses quite deeply. Solitude, tears, and a little wine. Long walks, extended periods of silence, and journaling at the cottage about my fears. I tried to put a positive spin on things as I wrote about all this space opening up. 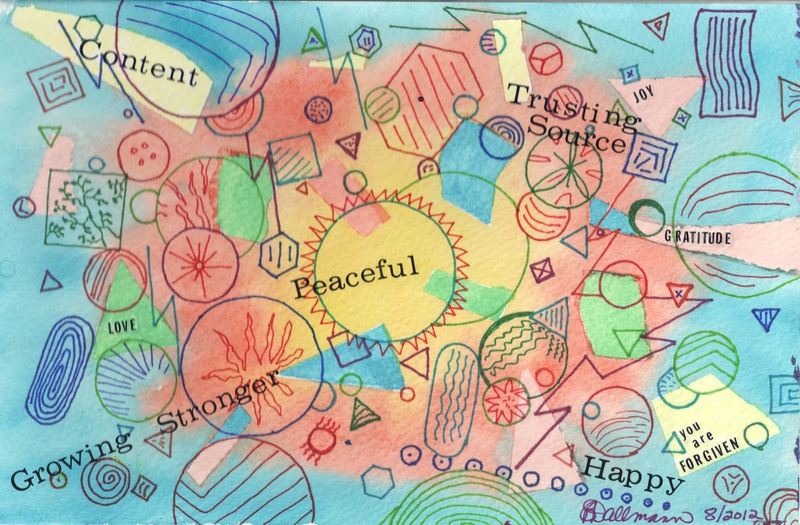 Cheerily I scribbled the words, “It’s creating space for new things to come in!” And then a radical new thought. As if in someone else’s hand, my pen wrote: NO! But if I change myself inside … if I shift the way I look at my circumstances … if I choose to truly accept what is and take the bold step to LOVE it as though I chose it for myself … well, then, it’s not about empty space that needs to be filled. It’s about empty space where I can begin to spread my own wings!